Our classic recipe is perfect for any pairing. 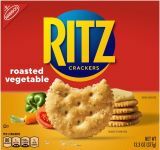 Deliciously thin chips, oven-baked to perfection. 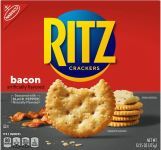 Classic crackery goodness in convenient on-the-go stacks. 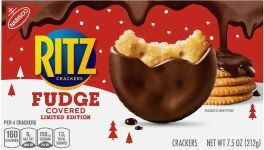 Bite-size version of RITZ classic, filled with peanut butter or cheese flavor. 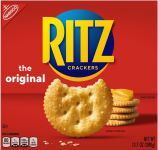 The same RITZ flavor you love, only in a toasted chip. Not fried. 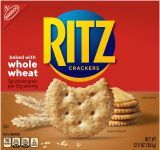 RITZ Cracker Sandwiches with real cheese or peanut butter and more. 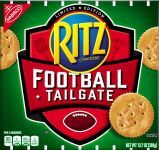 A variety of other delicious RITZ snacks available only at limited times.